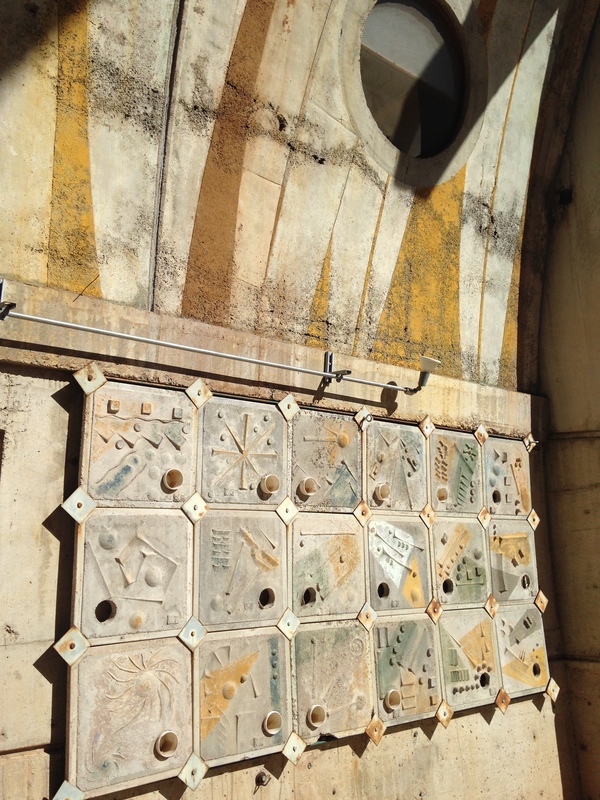 Arcosanti is a centrally designed, utopian-aspiring community in the desert about 70 miles north of Phoenix, Arizona. You should go there. It was the inspiration for the planet Tatooine, according to George Lucas Star Wars sources, and you can surely see the architectural and environmental influences in its set design. It was built in 1970 by Italian architect Paolo Soleri, who was trained by Frank Lloyd Wright at Taliesin West, in North Scottsdale, AZ. 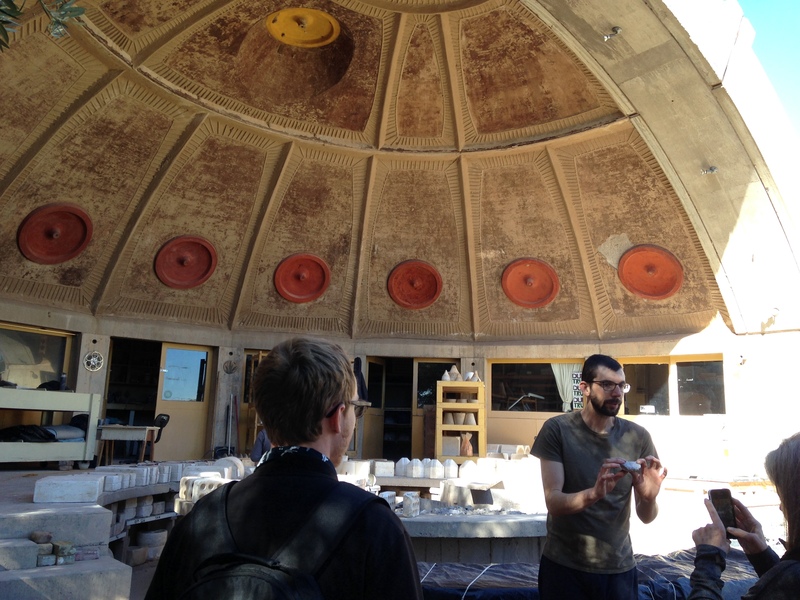 You can also see the holistic-project-plan-scope-scale influences of FLW at Arcosanti, which is the pre-eminent example of Soleri’s concept of Arcology (Architecture + Ecology) — a blend of sustainability and structure, that also harkens back to Buckminster Fuller’s design philosophy that includes the geodesic dome and Dymaxion engineering principles (Dynamic-Maximum-Tension). In other words, Soleri’s ideas and execution while gorgeously modern and stylistically bold, were not 100% original. But that is okay and that is not the problem. 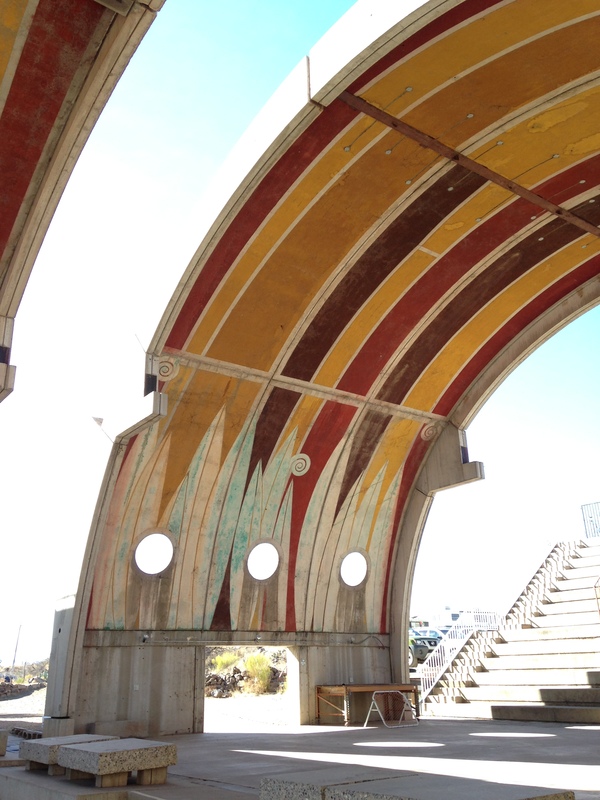 The problem is that Arcosanti is falling apart. But each new section of Arcosanti that we toured showed signs of both lapses in maintenance, cleaning, and general facilities management, as well as deeper structural flaws like: an entire exterior staircase was simply left to crumble and ruins; ceiling tiles and other wall coverings were falling off and down at corners; a priceless model for another Soleri project collects dust (literally) while a scultpturesque model for an airport has missing and broken pieces. Ramshackle add-ons to living quarters like clothes-lines and plastic furniture make the place look less like Luke Skywalker’s home planet, than like some trashy desert version of Soviet housing. It’s dirty, unkempt, in disrepair, smells in places like urine, and a bit sad. Over all, it looks like they just don’t care. They meaning the residents, some of whom are apparently according to our guide, eccentric, and do not understand preservation techniques. 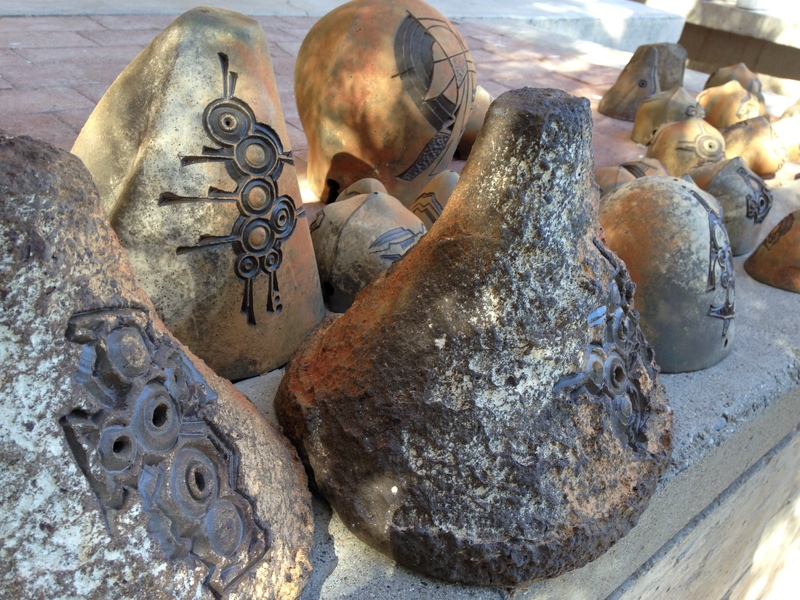 Indeed, the importance of preserving Arcosanti cannot be in dispute; it is every bit as architecturally and sociologically significant as Taliesin West, a site which is scrupulously pristine and preserved. Taliesin, run by the FLW Foundation charges $34-$36 per tour; Arcosanti charges $10, and you can go for free using a Culture Pass from local AZ + ASU libraries. Arcosanti is much less professional, much less aware of its brand, much less commercial, much less concerned for its future, and much less controlled than Taliesin. And one would hope that it never loses this hippie-chill ethos. However, if the hippies, artists-in-residence, board members, founders, and other stake-holders don’t make plans to professionalize and standardize the care and sustainability of this amazing site, it may not withstand another 40 years in the scorching, desiccating desert. Fore example, the massive and colorful domes and vaults should all be inspected by building engineers for safety purposes. 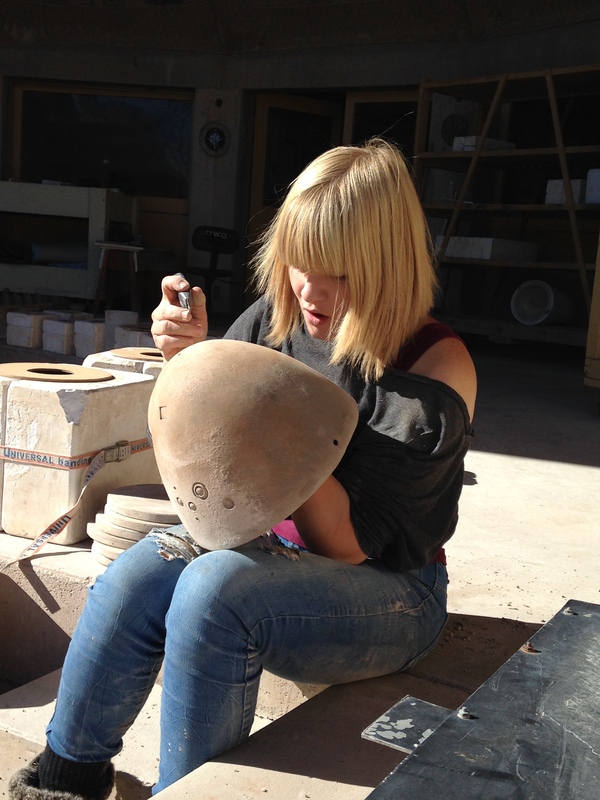 C’mon Arcosanti, care about yourself!